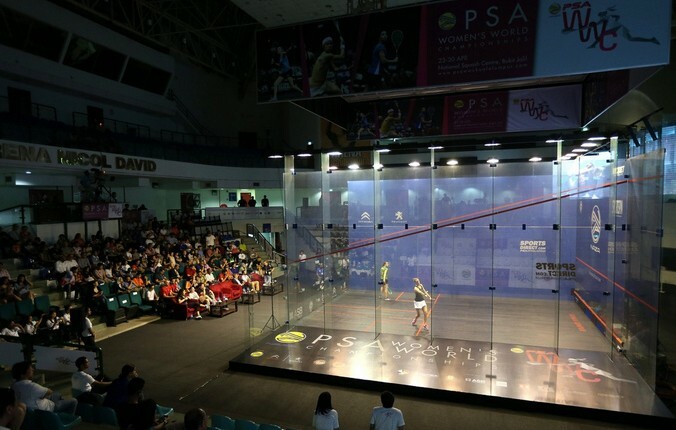 Madeline Perry ensured her place in the WSA Cayman Islands World Open quarter-finals last night, following a consummate performance against the teenage No.8 seed Nour El Sherbini. Perry, seeded tenth for the event, got off to a flying start against the higher ranked Egyptian and stormed to a first game lead with Sherbini managing just two points in response. The second game started in similar fashion, with the Irishwoman taking another strong lead, but Sherbini began to get in to the match, chipping away at the deficit to draw level at 9-all. 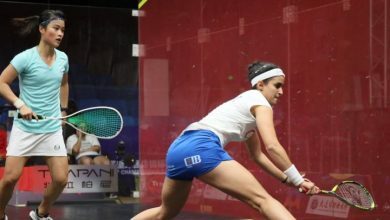 Experience and confidence in her game saw Perry extend her lead to two games, and tied again at 9-all in the third, she claimed a stroke either side of an unforced error from the teenage to book her quarter-final place. 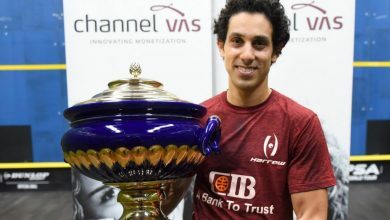 “When we played in the British Open the court was really cold and I knew these conditions would suit me more but I didn’t expect to get a start like that,” Perry told SquashSite after the match. “At 7-0 I had to try to keep my concentration as I knew she’d be coming back into it. Perry will face six-time World Champion Nicol David in the quarters, following the top seed continuing to power past her opposition. Her deconstruction of ninth seed Annie Au took just 25minutes, with the Hong Kong interntional managing just eight points in the match. 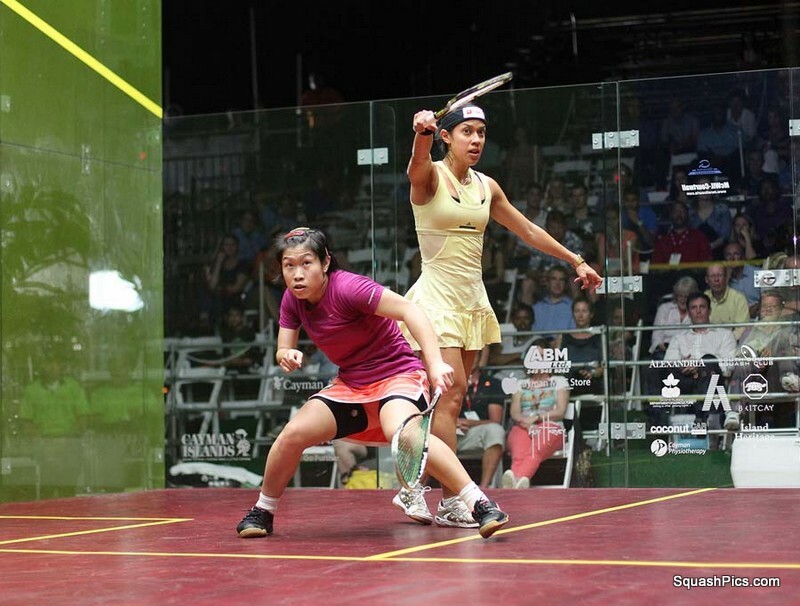 Hunting her seventh World Open title, the Malysian said afterwards: “It’s great getting back here. I love the court and the setting, so it’s nice to be playing here again, especially in the World Open. The last three years here have been memorable for me but this is the big one and everyone will be going for it and stepping their game up. 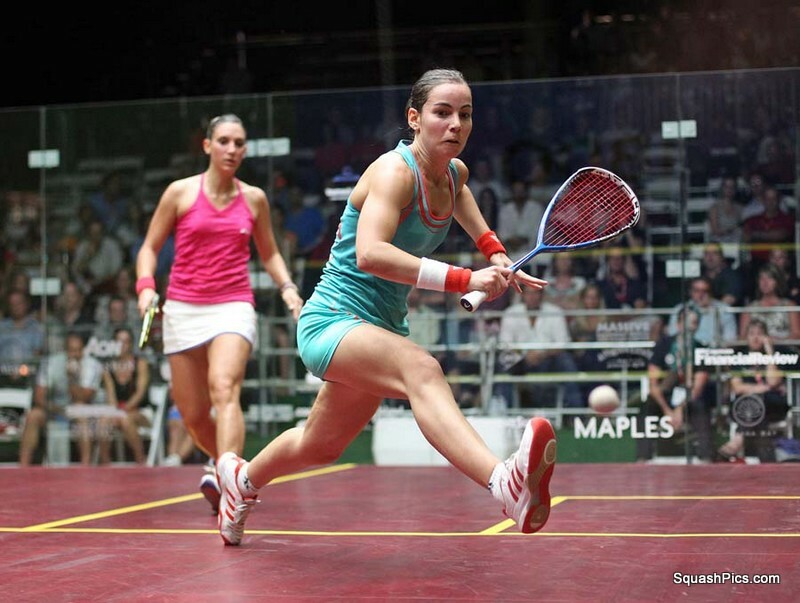 Jenny Duncalf continued her quest for a successive World Open final appearance after navigating a tricky second round clash against Camille Serme of France. Serme put in the performance of her career last month by reaching the Hong Kong Open final, but was unable to exert any lasting dominance on a much warmer court setting. The Englishwoman narrowly claimed the opening game on the tie-break, using her experience to shut out Serme in the final stages. She then doubled her lead by claiming a quick run of points from which the Frenchwoman was unable to recover. The young 14th seed hit back however, claiming the third game and increasing the pressure on the former world No.2. But Duncalf wasn’t to be deterred, and established a strong lead at the mid-stage of the fourth game. Serme’s comeback was again thwarted as her opponent made use of all four corners of the court and closed out the win to push her in to the quarter-finals. “It was a bit scrappy but I played well enough to win,” Duncalf said post-match. “Camille’s been playing well so to get her in the second round was tough, she always makes you work hard, but I feel like I’m playing at the moment better than I have for most of the year. Duncalf will face an all-English quarter-final round next, following No.4 seed Alison Waters’ defeat of Samantha Teran. 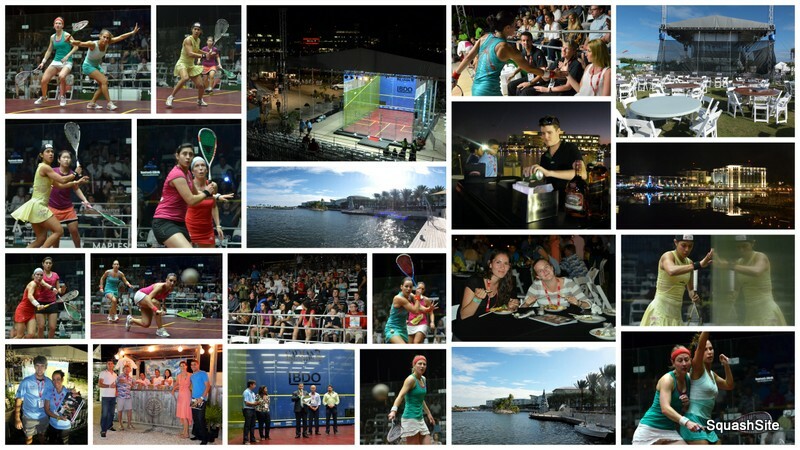 Teran was the surprise package of last year’s Rotterdam World Open, reaching the semi-finals as fifteenth seed. But the Mexican was unable to work similar magic on this occasion as Waters got off to a flying start to take the first game. A closer second game was forced to a tie-break by the determined Teran, but the Englishwoman, who missed out on last year’s World Open with an Achilles injury, held firm during the important points to double her lead. Waters’ confidence was evident throughout the third game, hitting accurate lengths without reply from her opponent and the match was concluded in under the half-hour mark. Waters explained to SquashSite after the match: “Sam’s a tough character, and she came back at me well in the second. Thankfully I managed to see that one out which was crucial, as on this court I knew that at one-all it could become a real battle.